A land where old intermingles with new, East meets West, and diversity finds fusion, Macau offers an idiosyncratic blend of Portuguese and Chinese culture, making it a place like nowhere else on earth. Situated on the Pearl River Delta on the southeast coast of China, Macau – like nearby Hong Kong – is a Special Administrative Region under Chinese sovereignty. However, its history and culture are very different to those of its neighbour. The Portuguese arrived in Macau in the 16th century and, although it was handed back to China in 1999, their influence can still be seen today in everything from architecture to festivals to food. Indeed, Macau’s 450-year-old blend of cultures is clearly reflected in its cuisine. Not only can you find awesome Asian food – from takeaway noodles to Michelin-starred dim sum – but you’ll also be treated to classic Portuguese fare. 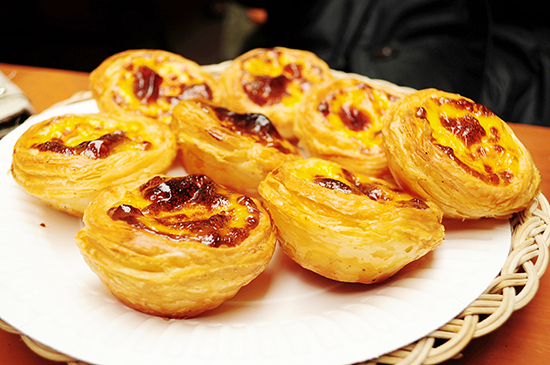 There’s sardines and chouriço through to the famous pastéis de nata – delicious custard tarts invented in pre-18th-century Lisbon, and made popular by Macau’s British-owned bakery, Lord Stow’s. 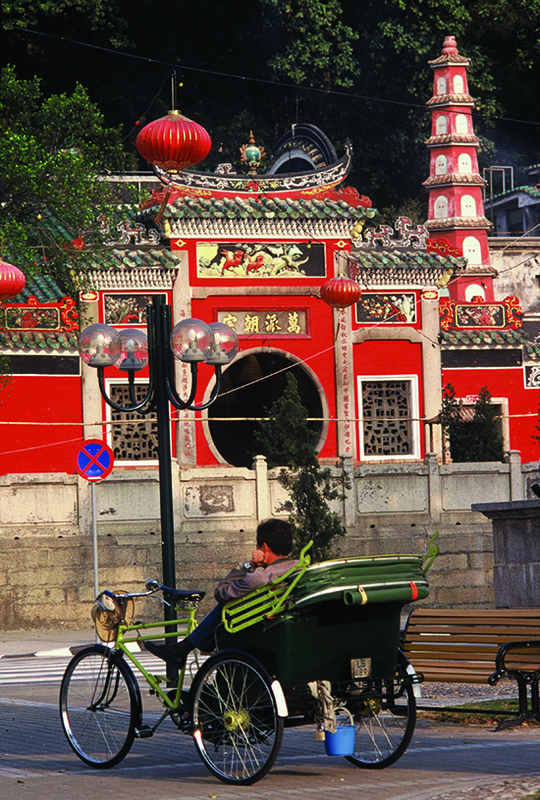 Naturally, for such a cosmopolitan destination, you’ll also find all manner of international dishes across its top tables, but the local Macanese cuisine – which blends Chinese influences with flavours of Africa, South America, India, Malaysia and Iberia – gives a gastronomic insight into the city’s history. Equally varied is Macau’s nightlife. This is a city that never sleeps, with plenty of options to keep visitors entertained until the wee small hours, from stylish rooftop bars to a vibrant club scene with international DJs. You can have a flutter at Macau’s glitzy casinos, or take in one of the sensational shows. The city’s must-see spectacle is The House of Dancing Water, a breathtaking production of acrobatics and fountain displays, performed in a purpose-built theatre at the City of Dreams centre, complete with a record-breaking 3.7 million-gallon ‘stage pool’. The complex also houses the world’s largest special-effects projection dome. And as if that weren’t enough, Macau’s Science Center has the world’s highest-resolution 3D planetarium. But Macau’s appeal extends well beyond the bold big-is-best attitude and pretend pirate ships of Vegas-style venues. Macau has an authentic culture all of its own, and despite its compact size, more than 20 monuments and squares pepper the heart of this old trading port city. A UNESCO World Heritage Site, the Historic Centre of Macau is an area where Taoist temples, baroque churches, neoclassical buildings and China’s oldest lighthouse exist side-by-side in perfect harmony. 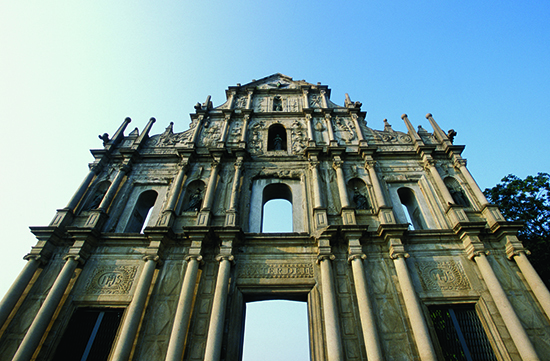 Make sure you get some snaps of A-Ma Temple, the oldest building in Macau, as well as the Ruins of St Paul’s, the treasured remains of a 17th-century Jesuit church that was one of Asia’s greatest Christian monuments. Macau is also a haven for shoppers, not least due to its status as a duty-free destination. Head to shiny malls such as One Central Macau or to the New Yaohan department store for high-end fashion and cosmetics. For a unique memento, visit the flea market near the Ruins of St Paul’s or out on Taipa Island. 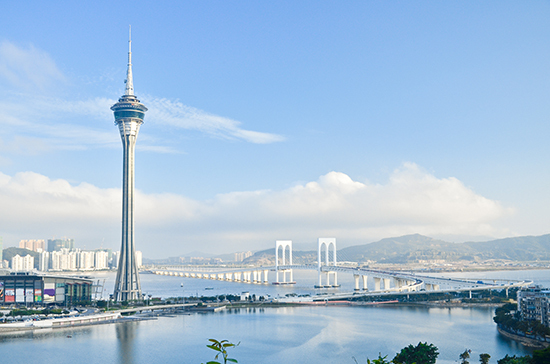 Top off your trip with a memorable visit to the Macau Tower, where spectacular views take in the Pearl River Delta. Those with the nerve can Skywalk around the rim or do the world’s highest bungee jump. Not for the faint-hearted! Highlights include the iconic Ruins of St Paul’s with their imposing façade, A-Ma Temple, the oldest building in Macau, the baroque-style St Lawrence’s Church, Senado Square, with its pastel-shaded neoclassical buildings, and Dom Pedro V Theatre, the first Western-style theatre in China. Pop over and visit the residents at the Giant Panda Pavilion in Coloane, Macau’s southerly island. All ticket money goes towards supporting giant panda conservation. After doing your good deed for the day, head down to Hác Sá beach to relax on its trademark black sands. The 338m-high Macau Tower offers panoramic views across the Pearl River Delta and a revolving restaurant. For an even more dramatic way to enjoy the views, adrenaline seekers can try the world’s highest commercial bungee jump, as well as a Skyjump, Mast Climb and Skywalk.